^ Curtis, Sophie (2014年11月10日). “Elon Musk 'to launch fleet of internet satellites'”. The Daily Telegraph (London). http://www.telegraph.co.uk/technology/news/11220326/Elon-Musk-to-launch-fleet-of-internet-satellites.html 2015年6月23日閲覧. 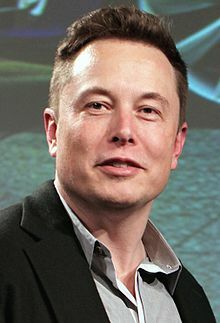 ""Elon Musk, inventor and business magnate""